Get a much-needed respite from stress and make health and wellness a habit by availing of the first digitized spa-on-demand service in the world with your Citi credit card! Enjoy low rates on Zennya massage services: that’s 50% off for first-time users and 30% off for existing users when you pay with a Citi Credit Card. You can book a massage through Zennya’s mobile apps, which can be found at the App Store or Google Play, or on its website at www.zennya.com. Zennya sends therapists to clients’ homes, hotels, or condominium units in 30 minutes or less at the click of a button. Availing of a luxurious, personalized massage session at your convenience has never been so simple. When transacting on the Zennya mobile app or through the website www.zennya.com, click on “Book a massage.” Indicate your session type, massage type, therapist gender, service duration and location in the required fields. So get a well-deserved break by availing of a treatment from Zennya. Ease your stress and worries away via massage from now until May 31, 2017. For more information about this irresistible promotion and other privileges, log on to www.citibank.com.ph or call the 24-hour CitiPhone Hotline at 995 9999.
Business managers should continue taking part in the Philippines’ growth story, as the country experiences industry resurgence, giving trade and investment a full swing, the country’s trade chief said. 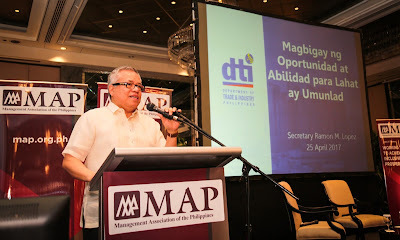 Speaking at the general membership meeting of the Management Association of the Philippines (MAP), Department of Trade and Industry (DTI) Secretary Ramon Lopez urged managers to continue banking on the country’s competitive industries and sectors, wherein the Philippines has comparative advantage, thus generating more jobs for Filipinos. “The top priority areas should be on services, manufacturing, agri-business, infrastructure development and logistics and tourism. We need to transform these innovative industries into an ecosystem of innovation,” said Sec. Lopez. He also referred to research and development experts and practitioners, members of the academe and incubators as enablers of growth. “The government is committed to provide opportunities and implement capacity-building initiatives to help Filipinos move-up the socio-economic ladder,” he said. Sec. 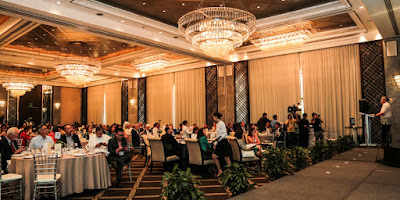 Lopez assured MAP members, composed of top business leaders, that the administration of President Rodrigo Duterte is determined to sustain a policy environment and industry structure that ensures competition, citing tariff reform programs, fair entry of competitive imports with presence of several players and brands as examples. For the development of micro, small and medium enterprises (MSMEs), the trade chief reiterated his request to the big companies to explore ways to integrate the sector not only in their supply chain but also in the global value chain. The government, through the DTI, capacitates MSMEs to become global players by helping the sector increase its competence and value-adding potentials. Sec. Lopez shared with the business managers DTI’s current programs to achieve the goal of realizing inclusive growth and prosperity for all, through the establishment of Negosyo Centers and SME Roving Academy for constant mentoring and coaching, as well as through the Go Lokal! stores for product incubation and market access, mainstreaming the best of MSME products. The President’s Pondo para sa Pagbabago at Pag-asenso or P3, meanwhile, gives access to finance and serves as the government’s direct response to the usurious 5-6 lending scheme, according to him. “All of these activities empower the MSMEs, and empowering the sector means investing on the economic backbone of our country,” he added. He also detailed the country’s substantial gains in the recent visits to Japan, China, Russia and the Middle East that all resulted to generation of new jobs and business opportunities, new big markets for Filipino farmers, as well as strengthened economic ties with the world’s big economies. 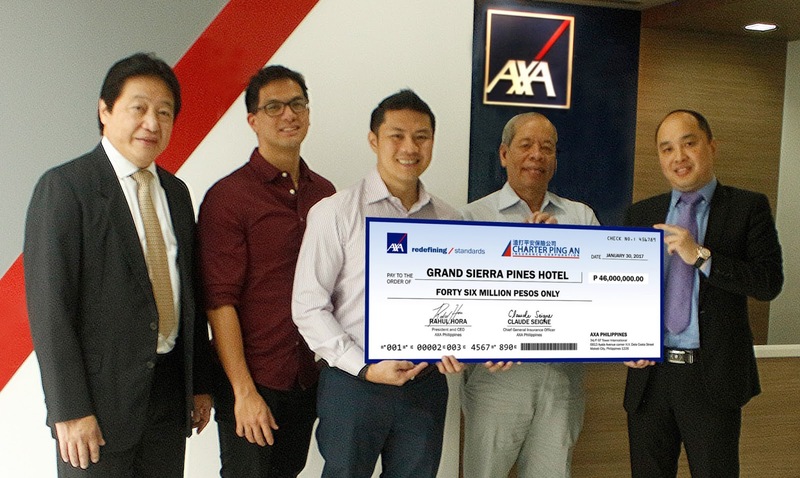 Charter Ping An recently turned over a check for 46 million pesos to Grand Sierra Pines Hotel, less than a month after BTG Holdings, Inc., owner of the boutique hotel in Baguio, completed its insurance claim documents. In a simple ceremony held at the AXA Philippines head office, Mr. Ray Florence Reyes (middle), President and CEO of BTG Holdings, received the check with his father, Mr. Cesar Reyes (2nd from right) and brother Mr. Jay Reyes (2nd from left) from Mr. Noel Que, Senior Management Advisor and Business Development of Charter Ping-An (leftmost) and Mr. Peili Zhang, Chief Technical Officer of Charter Ping An. As first-time clients of Charter Ping An, BTG Holdings was pleased with the quick delivery of the check that will be used to repair property damages from Typhoon Lawin. 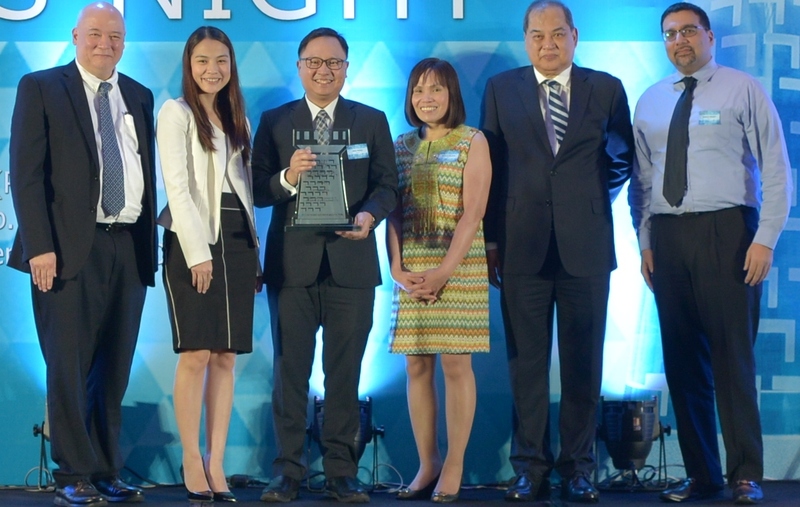 Charter Ping-An was acquired in April 2016 by AXA Philippines, the number one global insurance brand for the 8th consecutive year according to Interbrand. 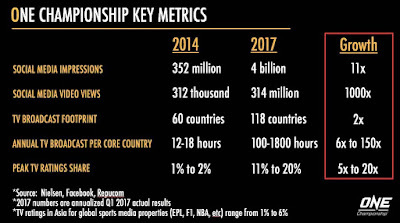 Over the past three years, ONE Championship, the largest sports media property in Asian history, has seen incredible growth rates in both television viewership and social media engagement -- a testament to the rapid rise of the promotion in worldwide households and the sport of mixed martial arts (MMA) as a whole. 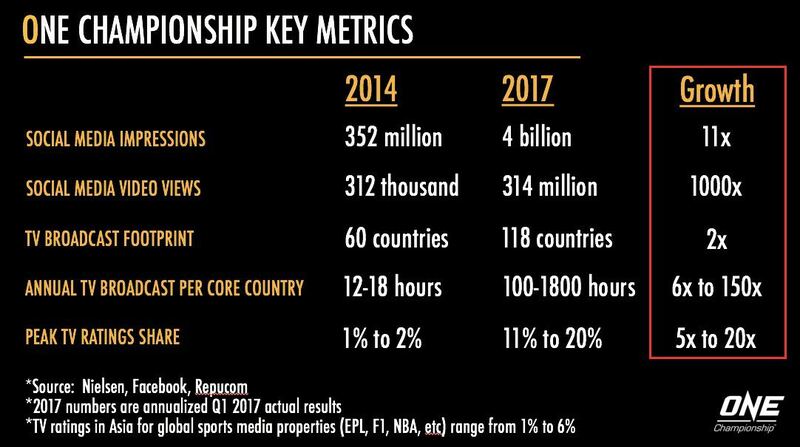 In data released by Nielsen, Facebook and Repucom, ONE Championship has shown exponential growth from 2014 to 2017. The data shows that ONE has come from 352 million social media impressions to 4-billion, marking an increase of over 11 times the previous tally. With the rise of digital and online video, ONE has also catapulted their numbers from 312 thousand to a whopping 314 million. That’s more than a 1,000 times increase. Established in 2011, ONE’s tireless efforts to bring Asian mixed martial arts to prominence has brought them from viewership in 60 countries to more than 118 countries globally. That’s double the number since 2014. Furthermore, the annual TV broadcast per country and the peak TV ratings share numbers have increased dramatically based on the data. From an average of just 12-18 hours of TV broadcast in 2014, ONE has increased that number to 100-1800 hours. It has also seen its peak TV ratings share spike to 11-20% from 1-2% just three years ago. The company has one of the largest engagements on both Facebook and Twitter and in a region where the platforms are still being adopted in some countries, that’s impactful. It has engaged fans online with a steady stream of digital content for the past six years, even partnering with Facebook itself to livestream the preliminary portion of its Pay-Per-View events on the platform. 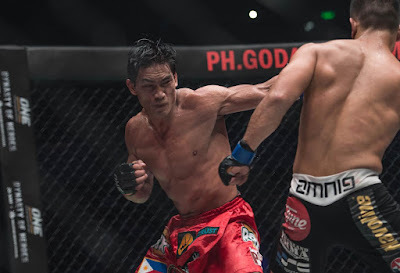 By partnering with the largest television networks in the region and across the world, ONE Championship has also made sure that its content is readily available. Massive deals with networks like FOX Sports, and the like, has brought ONE Championship’s unique brand of MMA action to a wide audience. This summer, AXN and Sony Channel bring all the high energy and excitement in the surfing capital of the north for LAbor UNION Festival 2017 from April 28-30, 2017, a three-day event which features a variety of sports and other fun-filled activities including performances from iconic Filipino artists. 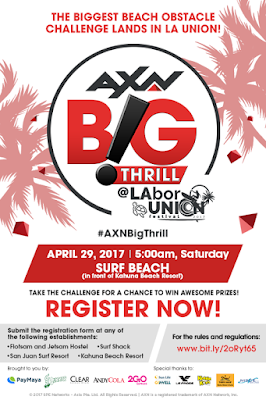 On April 29, take the challenge in the AXN Big Thrill, a beach obstacle course competition to be held on the Kahuna Beach Resort beachfront. In a test of agility and speed, participants tackle a series of physical challenges that include the ramp down, half pylon, shaky balance beam, and more! In the qualifying round, the top 10 participants in each division with the best times move on to the final round, where the three male and three female finalists with the best times will be declared the winners. Registration forms will be available at Kahuna Beach Resort, San Juan Surf Beach Resort, Flotsam and Jetsam Artist Beach Hostel and Surf Shack, La Union. Later in the day, silent discos are all the craze as this unique musical experience brings partygoers together at San Juan Surf Beach Resort for the Sony Channel Sunset Silent Disco. From 4pm to 12mn, dance to the beats of Slow Jam Hip Hop or Chill House music and start enjoying the sunset view while listening to the music mixes of DJs Cam Abecina, Abdel Azis and DJ Badkiss on wireless headphones. Get into the groove – where silence meets surreal – and rave about the best party you’ve ever been to! AXN Big Thrill is brought to you by PayMaya, C2 Cool & Clean, Clear, Andy Cola and 2Go Express. Special thanks to Kettle Corn, Sun Life Go Well, Le Froge, Kit Kat, and Tiger Balm. Sony Sunset Silent Disco is brought to you by PayMaya, C2 Cool & Clean, and 2Go Express. Special thanks to Kettle Corn, Kit Kat, and Purederm. 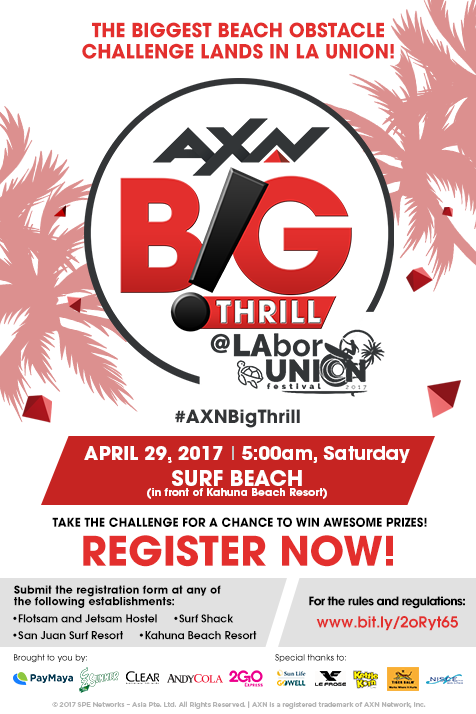 AXN Big Thrill and Sony Channel Sunset Silent Disco are happening on April 29 at the LAbor UNION Festival 2017 in San Juan, La Union. Diabetes is one of the most common illnesses among many Filipinos. However, did you know that you can have diabetes and be unaware of it? To prevent diabetes from becoming more serious, you should be aware of important medical facts so you’ll be able to treat it properly. “Many people are being affected by diabetes, and some aren’t even aware that they have it. Poorly managed diabetes can lead to severe health complications such as heart disease, blindness, kidney failure, and a blood vessel disease that may require amputation. That is why it’s vital to learn more about diabetes and if needed, seek proper treatment immediately,” says MediCard president and CEO Dr. Nicky Montoya. What is diabetes? Diabetes is a health complication wherein the body either can’t produce insulin or does not use insulin properly. Insulin is a hormone that enables the body to use glucose that is found in food for energy. 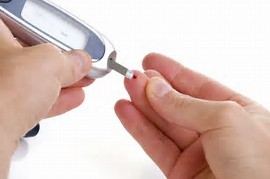 There are several types of diabetes but the most common ones are Type 1, where the pancreas does not produce insulin; and Type 2, where the pancreas does not produce enough insulin or the body does not use insulin properly. What are its symptoms? People with diabetes experience frequent urination, excessive thirst, constant hunger, irritability, blurry vision, extreme and unexplained fatigue, wounds or cuts that are slow to heal, weight loss even if you are eating more, and tingling, numbness or pain in the hands and feet. In some cases, individuals with diabetes don’t show any symptoms. That is why it is very important to visit your doctor regularly for check-ups. What are its complications? People with diabetes are more at risk of having other serious health problems. They are more prone to infections. High glucose levels and high blood pressure can also lead to cardiovascular disease, kidney disease, nerve disease and eye diseases, among others. To avoid complications, it’s important to regularly monitor and maintain your blood glucose levels, blood pressure and cholesterol. How is it treated? To prevent complications of diabetes, Dr. Montoya recommends that diabetics should have a meal plan prescribed by a dietitian. Eating healthy and engaging in physical activities will help the body break down insulin better and convert glucose into energy. Some need to take insulin injections and oral agents, pills which help diabetics produce more insulin or utilize insulin better. Always remember to visit a diabetes specialist regularly to monitor your glucose level. What should I do to prevent diabetes? To reduce your risk of diabetes, get moving and have a regular exercise routine like 30 minutes of walking a day. Dr. Montoya also recommends reducing your consumption of alcohol and processed sugars such as candies and sodas while adding more food rich in monounsaturated fats in your diet like avocados, nuts and olive oil. Learn how to combat diabetes. MediCard has numerous free-standing clinics located in key cities nationwide that offer endocrinology consultations. Visit a MediCard clinic near you or check out their website at www.medicardphils.com for more information. 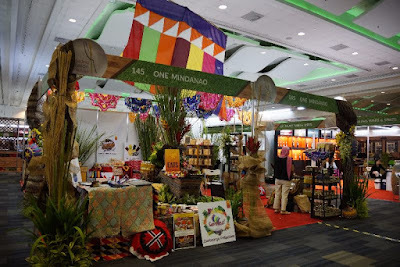 With this year’s delivery of the best delicacies from the region, RD Unchuan aimed to let people knew that there is truly more than what is known about Region 10. From point to point of the region, the whole Region 10 DOT was ready to wow those in the event with what they were presenting in the 3-days event. From Bukidnon to Misamis Occidental, a good selection of delicacies was presented as part of the gastronomic wonder of the region. The delegations are as follow: RD Marie Elaine S. Unchuan - DOT10, Josephine H. Roque – DOT 10 Focal Person, Leonila S. Arguelles – Kitchen Focal Person, Chef Benzar Aradani , Camille Ambalario – Chef’s Assistant , Nelia B. Lee (Food Sponsor), Agnes Garcia Sue (Food Sponsor – Clarin, Misamis Occidental), Mayor Clive Quino and Mrs. Rina Quino (Food Sponsor -Manolo Fortich, Bukidnon) with other DOT 10 personnel. People were won over by the delicious suman from Clarin, Misamis Occidental, the crunchy peanut brittle, the delicate pastel by Vjandep from Camiguin, that grated young corn delicacy called binaki and chicharon from CDO, the peanut goodness of Cheding’s from Iligan City and the sweet pineapples of Manolo Fortich, Bukidnon. Paired off with it were the various coffee goodness of the region. 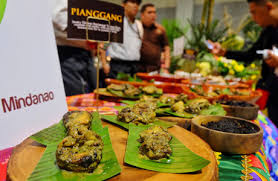 Not only are delicacies featured but also the Humba de Oro and Ostrich Salpicao; two dishes displayed during the regional lunch last April 8 under the careful hands of Chef Benzar Aradani. The country’s largest foreign bank received two honors during the 12th PDS Awards Night, as Top 2 for Fixed Income Dealing Participant for 2016 and as Top 5 Philippine Domestic Dollar Transfer System Payment Vs Payment Participant 2016. Citi Philippines Treasurer & Head of Global Markets & Securities Services Paul Favila (3rd from left) received the awards together with colleagues Faye del Rosario (2nd from left) and Khalid Anvery (rightmost). They are shown in photo with (from left) Philippine Dealing & Exchange Corp. President & Chief Operating Officer Antonino Nakpil, Treasurer of the Philippines Hon. Rosalia De Leon and Philippine Dealing System Group President & CEO Cesar Crisol. Juan Karlos Labajo Releases Composed Track "Demonyo" Autotelic Out with Third Single "Languyin"
Still in the cast of ABS-CBN’s “A Love to Last”, in which he plays aspiring musician Lucas Noble, MCA Music Artist Juan Karlos Labajo releases his second single “Demonyo” from his sophomore album “JKL”. With this song, it’s clear that Juan Karlos has matured as a person, and that maturity is reflected in his songwriting. Juan Karlos says he started writing songs out of boredom, but he quickly fell in love with songwriting when he realized it was a great way to process his emotions. Every teenager needs an outlet, and Juan Karlos found that putting melodies and words together was his. He recently won this year’s MYX Music Award for Favorite Mellow Video for the single “Di Ka Man Lang Nagpaalam”, a song for his late mother. Meanwhile, band Autotelic will continue to make noise with their third single “Languyin” from their major label debut “Papunta Pabalik”. Fresh from the success of their previous singles “Gising” and “Laro” which experienced heavy airplay on radio stations and charted on radio and music video channels, the track is just in time for the summer season. “Languyin” is about facing and accepting all the challenges you encounter when you want to achieve something, whether in life or in love. With its previous music videos garnering acclaim from both critics and audiences, expect the video of “Languyin” to be different and worth anticipating. Autotelic was nominated for Favorite Rock Video for the single “Gising” at the recent 2017 MYX Music Awards. “Demonyo”, Juan Karlos’ new single from the album “JKL” and “Languyin” by Autotelic from the album “Papunta Pabalik” can be streamed on Spotify, Apple Music, Deezer and Spinnr and downloaded on iTunes and Spinnr. 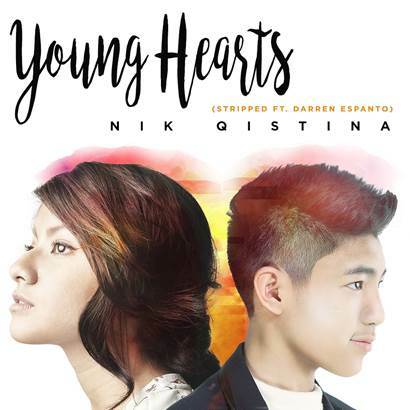 CDs are available at leading Astroplus and Astrovision stores nationwide. For booking inquiries, please contact Kerwin Rosete of MCA Music Artist Management at (63) 9162504, 0920 9682991 or email mcabooking@umusic.com. The Big Difference Communications (TBDC) with Chef Ervincent “Kalel” Demetrio, has came up with a bar crawl tour this April 4, 2017 in line with the upcoming Madrid Fusion 2017. Chef Kalel is one of the featured chef’s in the fore mentioned event and with this; he wishes to share some of his creations and the establishments who carries them. 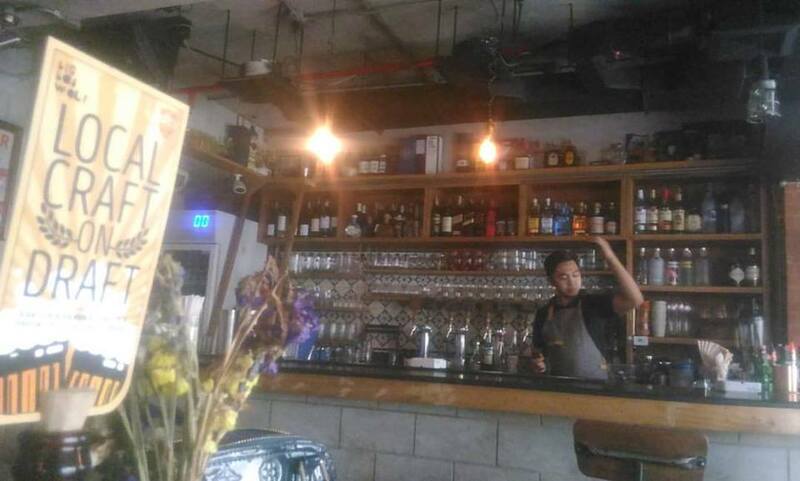 A restaurant-bar located at Burgos Circle in BGC. This establishment features international dishes prepared with local produce. Opens from Monday to Saturday from 11:00 AM till 2:00 AM, Big Bad Wolf is your homey place to eat away from home. Burrata – an Italian cheese made from mozzarella and cream. With Big Bad Wolf, the cheese (mozzarella and cheddar) is made from carabao’s milk. It is smoked with acacia wood giving it added flavor. Served with tomatoes and greens with salt toppings, this appetizer is a good way to start a meal. Carbonara with Pork Cheeks – the cream is also from carabao’s milk. The pork cheek is made crunchy giving it more flavor and texture far from the usual bacon. Big Bad Wolf’s Chili Wings – there take on the classic buffalo wings. The spice will definitely take your attention but the side cream dip (also made from carabao’s milk, added with herbs) will help you finish the wings served. Served with a local salad on the side. The spice is from our very own siling labuyo. 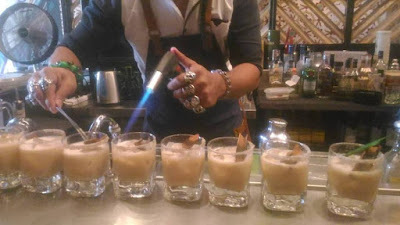 BASI SPRITZ – light drink with basi as based and some of his concocted syrups, giving it a kick but maintaining a light buzz. The orange and cucumber that tops it gives additional refreshing effect making it a delightful drink during the middle of the day. Located at the 2nd level at Uptown, BGC, this place offers you comfort food with a light but delightful twist. The name gorda is Spanish in origination meaning fat lady ( from the verbo gordar meaning to be big or fat) and it is in honor of their mother. The food served are with Spanish-Mexican influence which we are familiar with but given added push in terms of flavor level. This resto-pub/bar is open every Monday and Tuesday from 11:00 AM till 2:00AM and from Wednesday till Saturday up to 3:00AM. Two-Way Nachos – they have two types of nachos varying in color and served with cheese, tomatoes, ground meat and jalapenos. Each layer of nachos has ample serving of toppings making sure that each nacho piece is delectable. The lemon that comes with it, gives it a different flavor taste that makes it far from the normal nachos in the market. Keso-Quesadillas – this is served like a pizza but the flavors are true to its name. It is light, cheesy and with a bite due to the finely chopped spice that tops it along with the cheese sauce. Horchatta Morena – a rice based drink with Old Captain rum. This drink is light, sweet and quite refreshing for a hot day. The half of the rim of the glass is edged off with finely grinded rice and moscuvado sugar. Served with burned cinnamon bark, the drink gives off a light earthy aroma mixing well with the rice flavor of the drink. 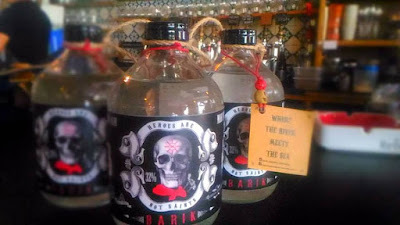 El Equador de Margarita – this drink is good for sharing. Served using a hallowed out watermelon, this alcohol concoction is refreshingly fruity with a kick. The watermelon flavor slowly blends into the drink making it seems light without decreasing the alcohol level and effect. The first organic restaurant in the city, this themed restaurant caters to those who wanted to have healthy food served in a delicious manner. The serving is big enough to be shared thus family and groups come here to enjoy their food offerings. Open every day from 8:00AM – 10:00PM, the place has both indoor and outside seating. Carbonara with Goat meat – the lightest meat pasta in the market! The sauce is light in cream and the goat meat was handled well making it delicate and delightful to the palate. Honey comb with Lemon Curd – this dessert treat is a creation by Chef Kalel for Green Pasture and was hailed as the best dessert in the industry last 2014. The sweetness coming from the comb is balanced off with the light tartness from the curd giving it balance and contrast in texture. 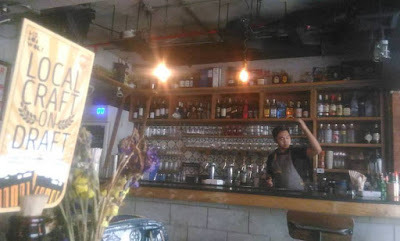 This establishment is the child of the bohemian age in the 90’s in Malate,Manila. The wall is decorated with paintings by various artists that are sold off. The place is definitely cozy for an “underground” atmosphere. Open from Wednesdays till Sunday, the place is worth your time to simply chill out and be in the crowd. 3-way Soft Shell Taco – this food serving is a delight due to the way the meat are served (3-way) and then topped with aioli sauce and finely chopped chorizo. The sauce is pimiento base making it creamy and adds a distinct flavor to it. Querida – a name apt for thee drink because of the number of flavors and sense stimulation that it offers. 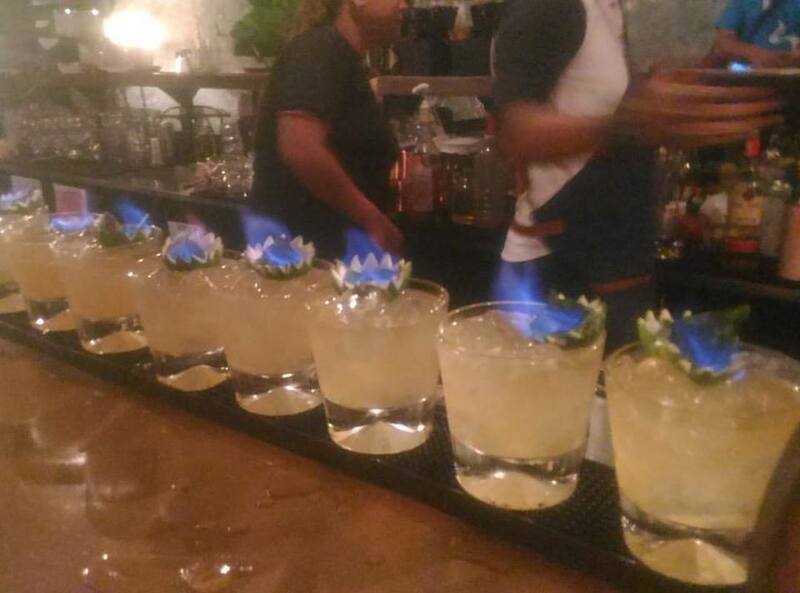 Served with a burning basil leave on top, this drink gives off an earthy aroma which complements the fruity flavor of the drink (passion fruit). The liquor taste goes in smoothly making it more than a your standard cocktail.